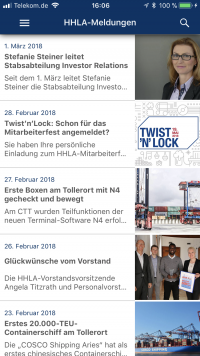 .mmp developed the team app for HHLA. It has been in use since 2016 and is now well established with over 1000 accesses every day. With a public section and internal access for HHLA employees. The contributions are created editorially as well as fully automatically extracted from the Internet and Intranet and submitted to the responsible persons for approval with the help of the .mmp Content Selector. Berufe.TV is the film portal of the Federal Employment Agency of Germany, developed and maintained by.mmp since 2006. Berufe.TV runs on its own native apps as well as in all common web browsers. The portal includes over 600 films of apprenticeships and courses of study. A very powerful back-end manages over 40,000 calls per month easily and reliably. 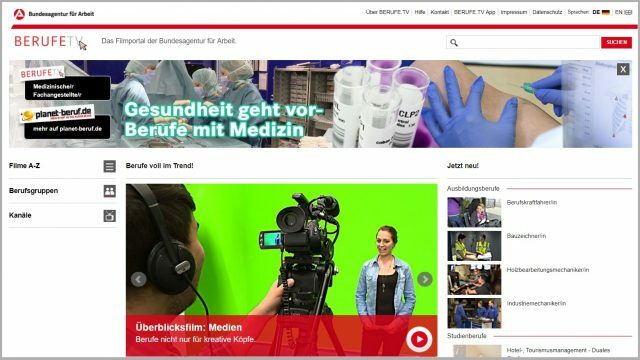 In this project, the film and media production is handled by our long-standing partner, Telepoint Medien GmbH. The digital sales case for sales staff in EMEA, Asia and Pacific. All required materials are available offline after updating the content with appropriate network access. The acceptance of the tool is constantly growing. In Europe alone, more than 1,600 users are now registered and the material is available in the respective national languages. 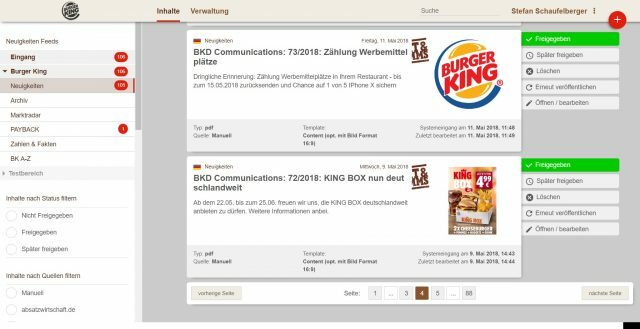 Burger King’s communication centre to the individual restaurants and franchisees. All relevant service instructions and information, market observations, product information, etc. are being displayed on the employees’ smartphones or tablets in real time. 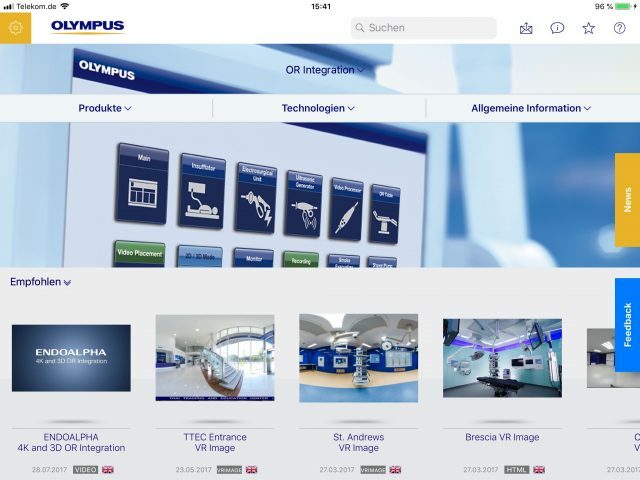 OLYMPUS uses O3DD for sales and marketing employees worldwide. 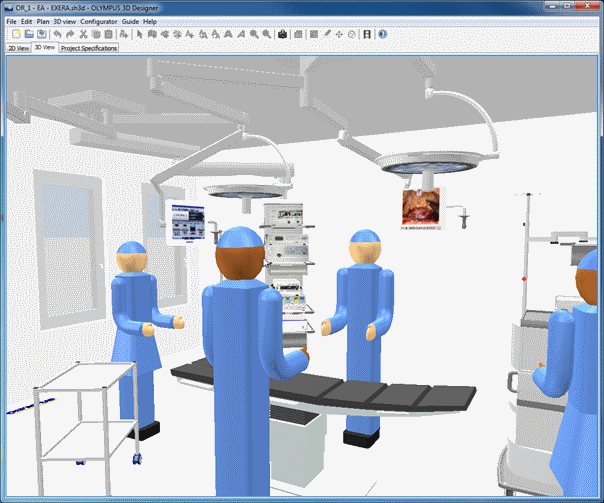 The software enables employees to create operating theatres and to add and configure devices and materials. At the end the customer receives a detailed PDF with all views and specifications. This information is managed directly by Olympus in a database. .mmp has adapted the Sweet Home 3D® open source software to the OLYMPUS workflow. In addition, a special plug-in has been developed for the software, which provides new functionalities. For example, light arms and supply units as well as trolleys for medical equipment can also be configured to obtain a complete parts list.